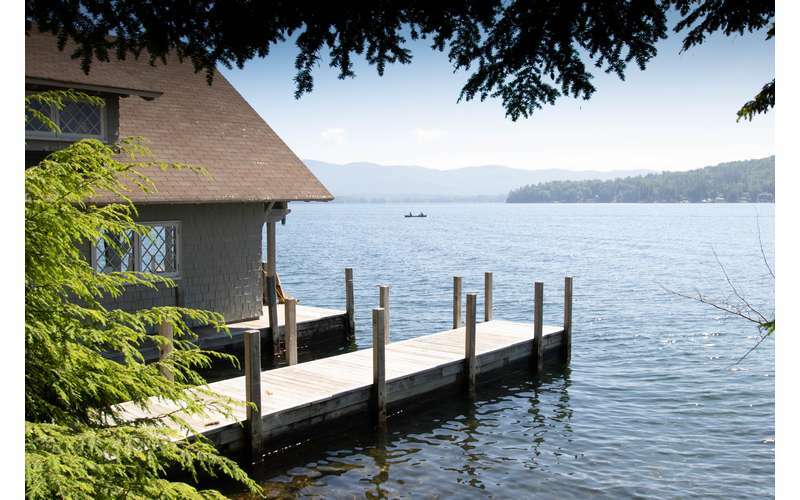 Two-Bedroom Cottage with Docking on Lake George for a Boat is located on the Private 12 Acre Private lakefront property called Ahnohwarah. 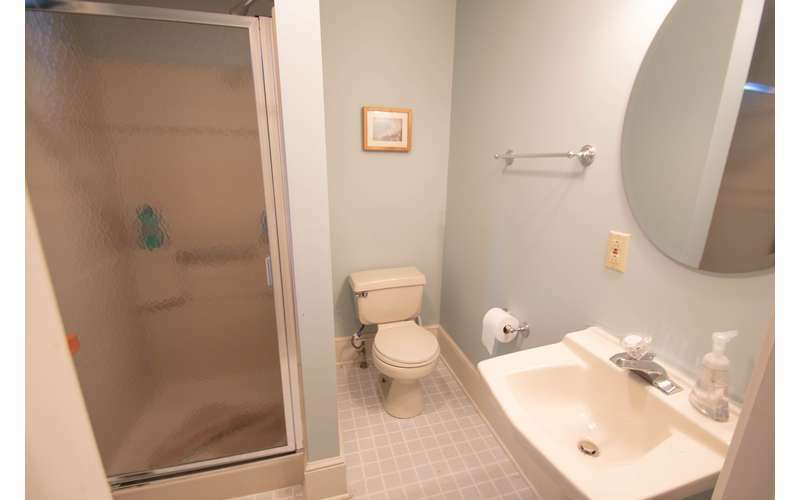 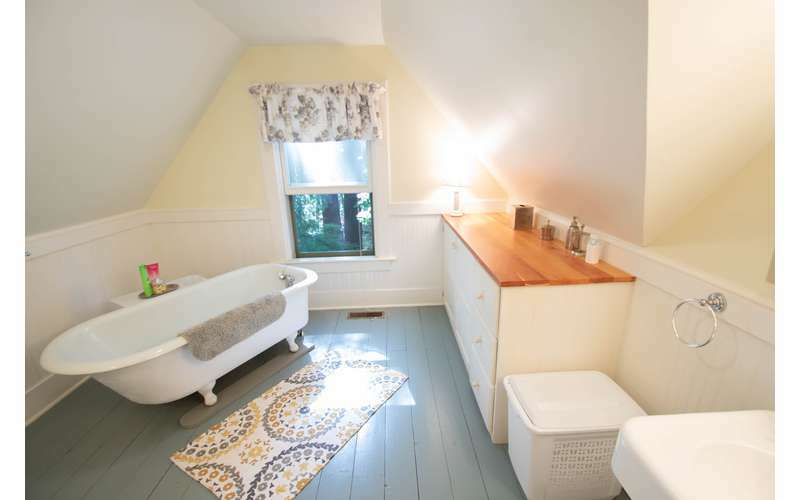 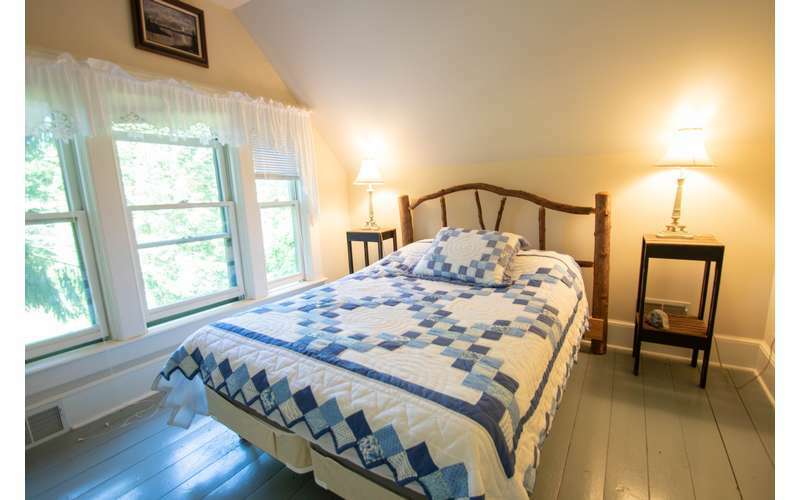 The cottage sleeps 4, private swimming area for guests of house rental and cottage rental. 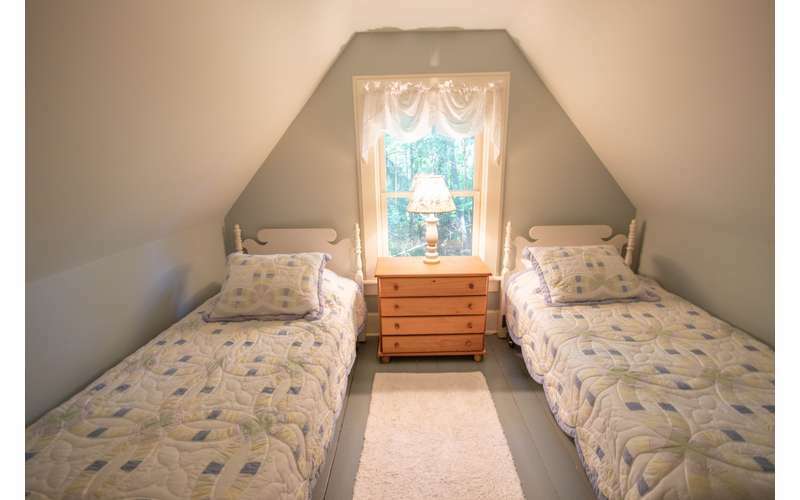 The Ahnohwarah Cottage can be rented by the week for $2500 and sleeps 4. 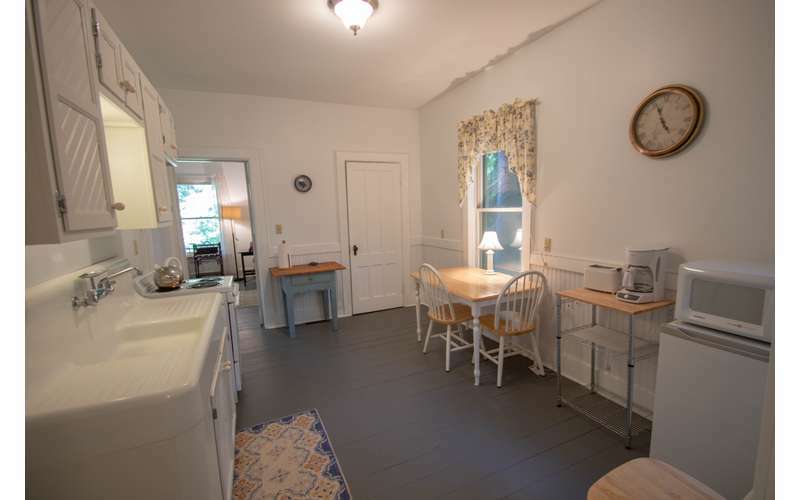 The cottage can be rented with the main house which sleeps 12 for accommodating groups of up to 16 people for $8900/week. 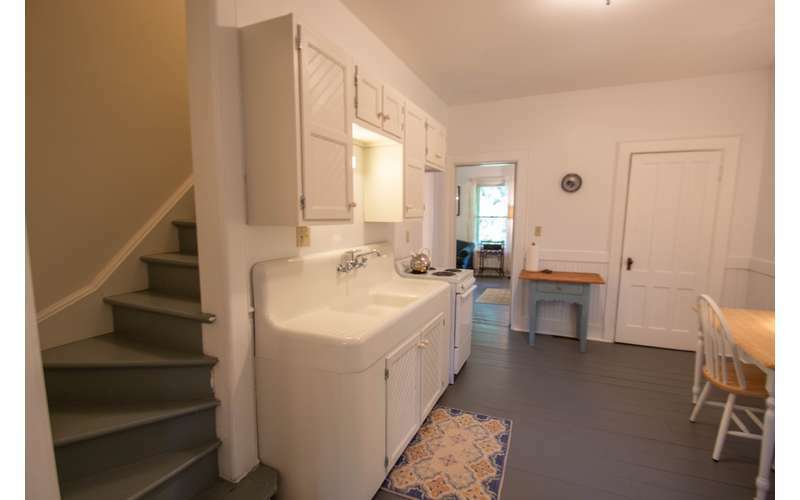 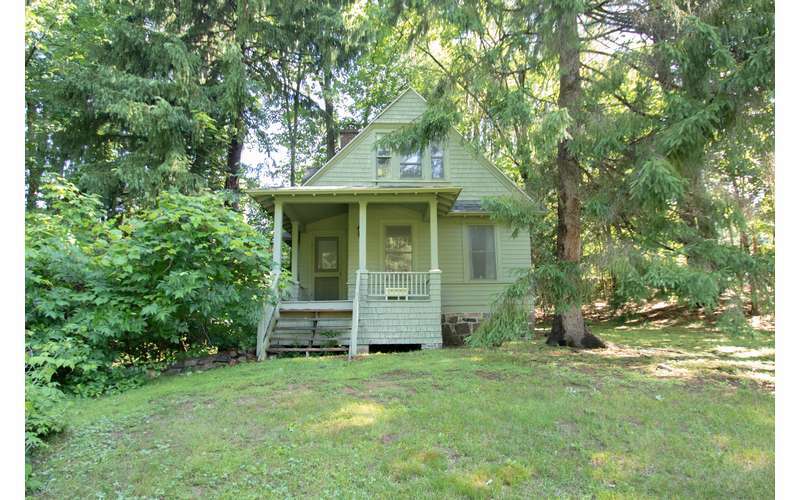 The cottage is set up on top of the hill and does not have lake views, you can drive down the private drive to the lake or take a walk down the hill. 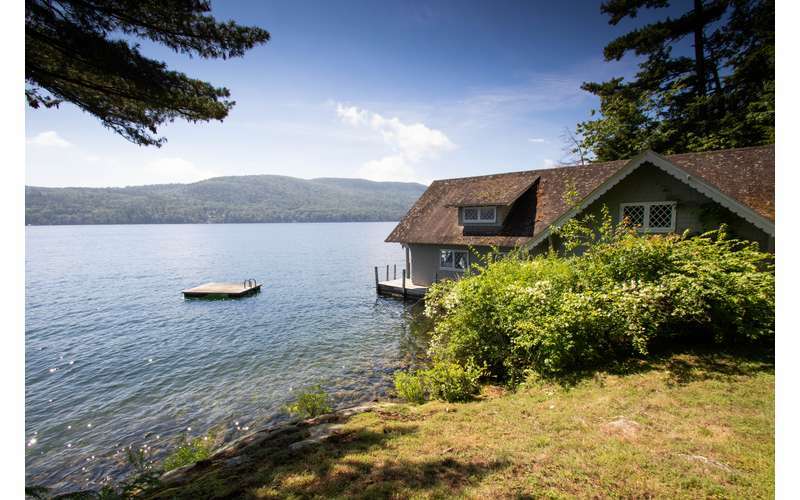 The property is large and set on a hill, so please be aware that you can not see the lake from the cottage but you will have full use of the lakefront area and can bring your boat or rent a boat or jetski for your stay at a nearby marina to live the lake life. 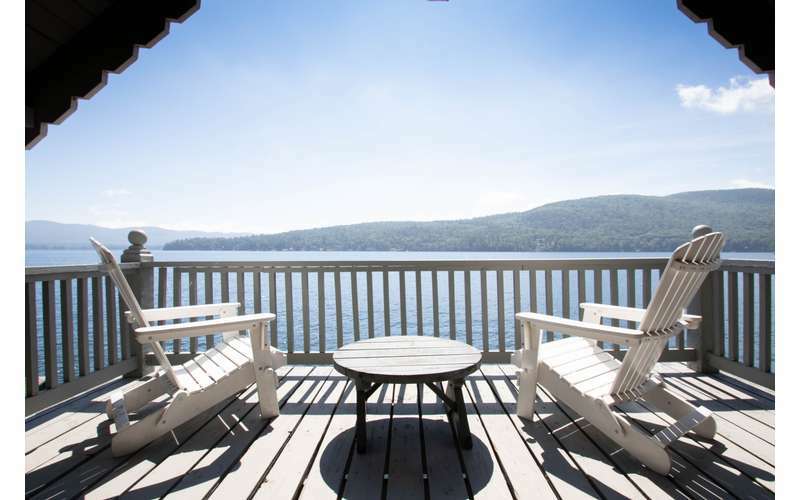 Our Location: The estate is located less than a mile north of Lake George Village, so it's close to all the action without the noise in a peaceful location.